Wilmington – On July 28, 2017 at approximately 10:43 pm, Wilmington Police Officer’s on directed patrol in the area of W. 7th and N.Washington Streets notified 911 dispatch of gunfire south of their location. 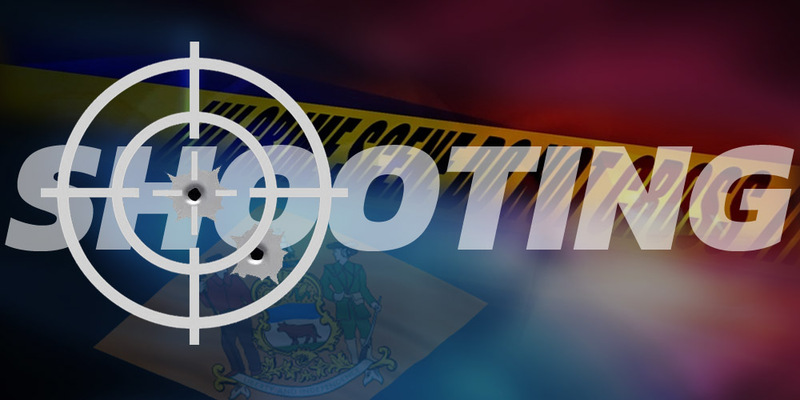 Simultaneously a Shot Spotter notification of gunfire was received for the 400 Block of N. Washington Street. Arriving officer’s immediately located a 26-year-old male in the block suffering from gunshot wounds to his abdominal and arm areas. Officer’s rendered aid to the victim until the arrival of EMS. New Castle County Paramedics continued treatment on scene and transported to the Christiana Hospital Emergency Room in critical condition. Assisting officers located three additional victims suffering from apparent gunshot graze wounds or injuries from debris associated with the shooting. The first of the three victims was located inside of a vehicle parked in the 400 block of N. Washington Street.This victim is described as a 33-year-old female who was suffering from a graze wound to her neck. She was treated on scene by New Castle County Paramedics and transported to the Christiana Hospital Emergency Room in stable condition. A 35-year-old male victim was located outside of the above described parked vehicle in the 400 block of N. Washington Street and was suffering from an apparent graze wound to his upper left arm. He was treated on scene by New Castle County Paramedics and transported to the Christiana Hospital Emergency Room in good condition. Officer’s were then directed to a residence located in the 400 block of N. Washington Street. Inside the residence, a 40-year-old male was located suffering from graze wounds to his right arm and right eye. He was treated on scene by New Castle County Paramedics and transported to the Christiana Hospital Emergency Room in good condition. A witness at the scene said that they saw a child covered in blood but it was unclear if the blood was from one of the victims or the child. Radio reports from the scene indicated that a child was transported to AI duPont however police did not release any information regarding the child. WPD has not responded to an early morning email seeking clarification as to the child’s condition.